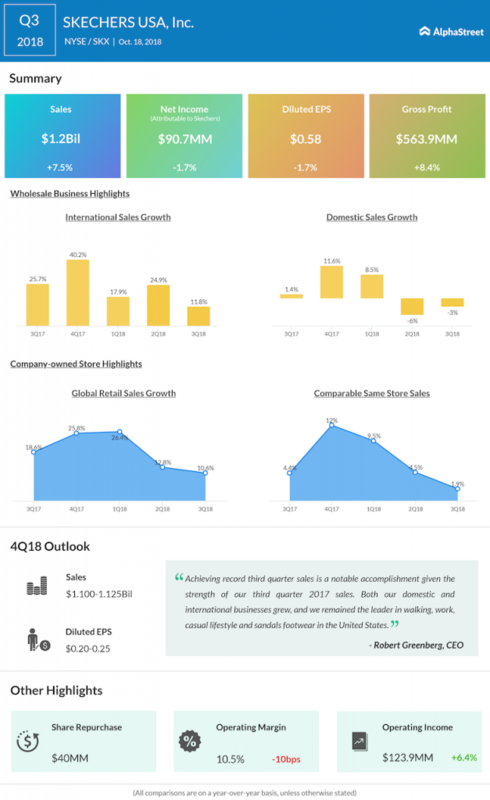 Shoemaker Skechers (SKX) will report fourth-quarter earnings results after the regular trading hours on Thursday, February 7. The company is expected to report a 13% increase in revenues to $1.1 billion. The top line is expected to be boosted by strong demand for its products outside the domestic markets, primarily in China and Europe. Skechers has inked numerous partnerships and JVs to effectively deliver its products to key global markets. The company’s digital platform has also been slowly picking up and is expected to lift overall sales. However, only a part of this sales hike would be transferred to the bottom line as higher taxes and currency headwinds weigh on the results. 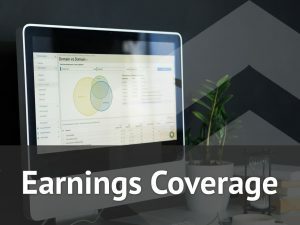 While the company management has given Q4 EPS guidance in the range of $0.20–0.25, analysts on an average expect earnings to be 23 cents per share. During the earnings conference call, look out for management comments on the firm’s cost management strategies, besides its plan of action to boost international growth. Investors would also be interested to know what the company plans to do with its domestic wholesale business, which has been showing signs of weakness. During the last reported quarter, revenue from the wholesale business fell 3% year-over-year. SKX stock has a 12-month average price target of $27.67, which is at a modest 1.6% upside from the last close. Therefore, even strong fourth-quarter results might keep a stock rally under check. In the last reported quarter, earnings declined modestly, but to a lesser extent compared to analysts’ forecast. The stock gained about 7% during the extended trading hours as the market responded positively to the results and upbeat outlook.